Just about a year ago my husband and I visited Likya Winery. And it turned out to be an unforgettable visit. 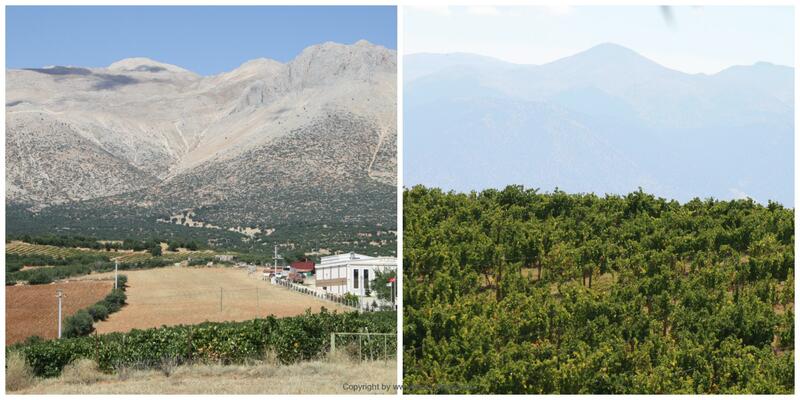 Likya winery is the largest vineyard in Antalya district and produces ½ million bottles annually. And then it’s sunbelievable idyllic. I have always been very curious about visiting the place partly because it is one of the oldest wine houses in Antalya and partly because I was dragged around to various vineyards in France in my childhood. How different was this place in a country not known as such for wine production? And yes, that was very different. Primarily because it was not a castle, as I could remember from France, but closer to a newly built farm. But also because all facilities were hyper modern and production was built and optimized according to the conditions. But there is certainly as much passion and science behind, as there should be and is in many other places in the world. We were so lucky to be received by Mr. Burak Özkan, who owns Likya wine with his brother Doruk. 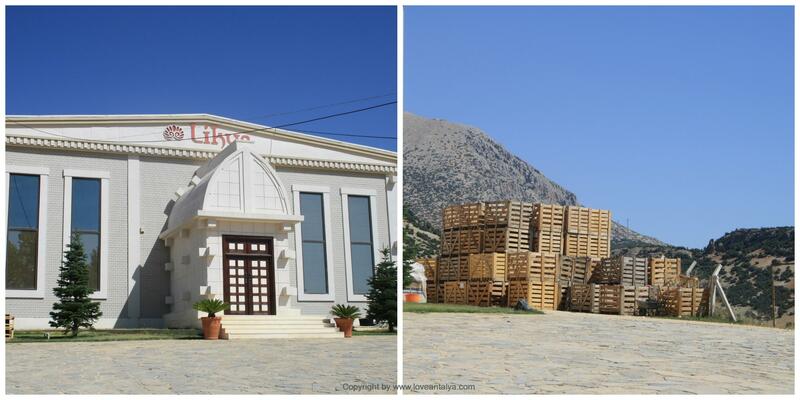 Likya Wine is a real family enterprise and originally started as Arykanda wine in Fineke City in 1999. Since then they moved to the small town of Elmali approx. 1½ hours drive west of Antalya. 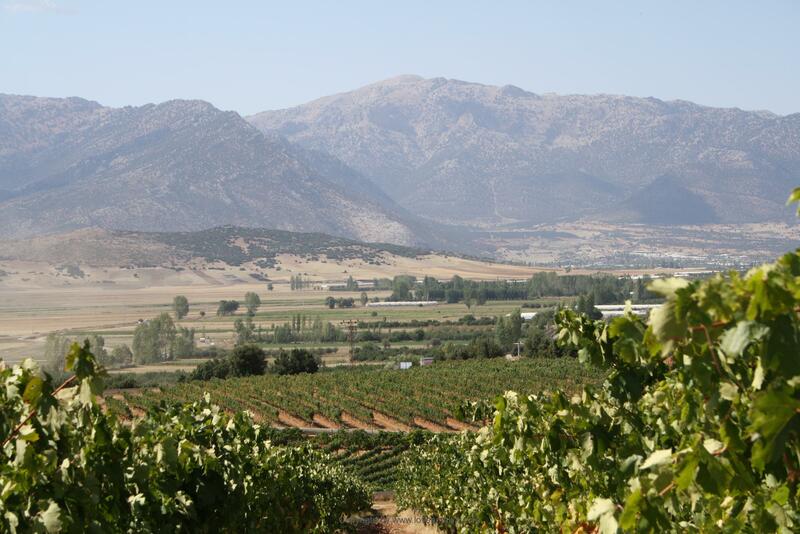 This means that the vineyard is located right on the border to the Mugla district and is well hidden away up the mountain. In fact, the location of the vineyard at about 1100 meters high is almost ideal for just this type of grape. 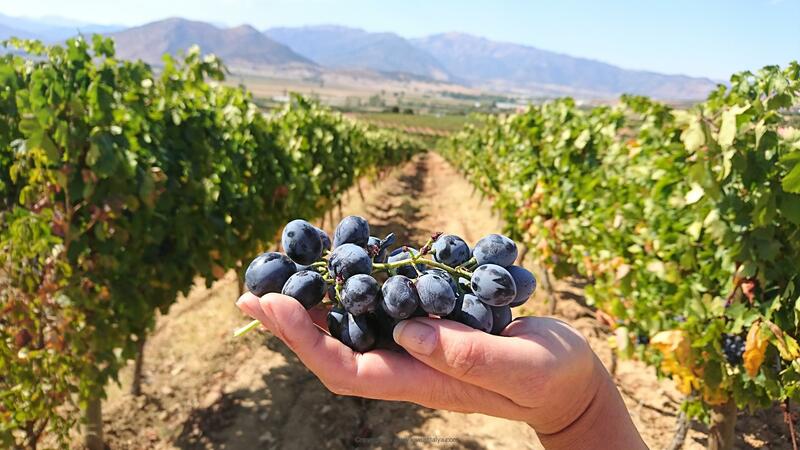 Here it will not be as hot in the summer as down in Antalya city, but still with plenty of sunshine, without much rain and just enough cold weather for the grapes to develop best possible. In fact, it was quite interesting to sit and talk to Burak. For granted – I do not know anything about wine (as in really nothing – yes, I generally like red wine of Tempranillo grape, but that’s the limit of my knowledge). And here I sat in front of a passionate feinschmecker, who could it all at the fingertips and was willing to tell about his life’s work. How does one start a vineyard? It’s actually a little fun story with Likya Wine. 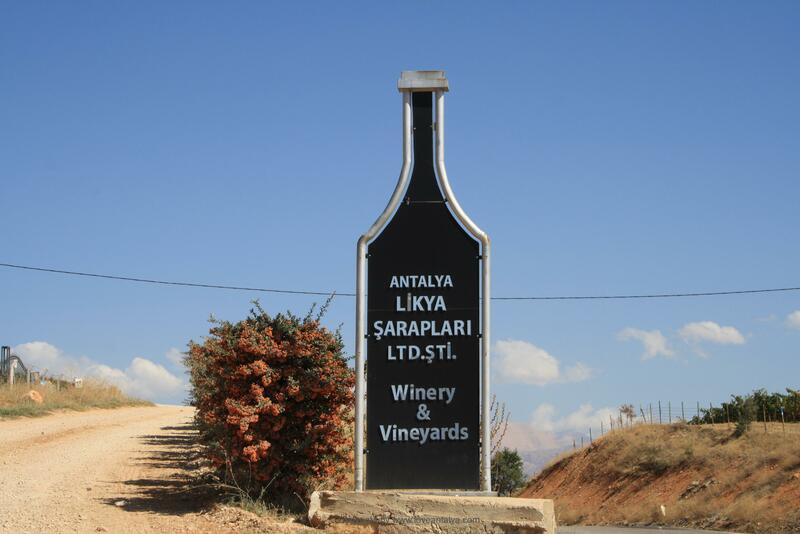 Producing wine in Turkey is not brand new – actually far from. 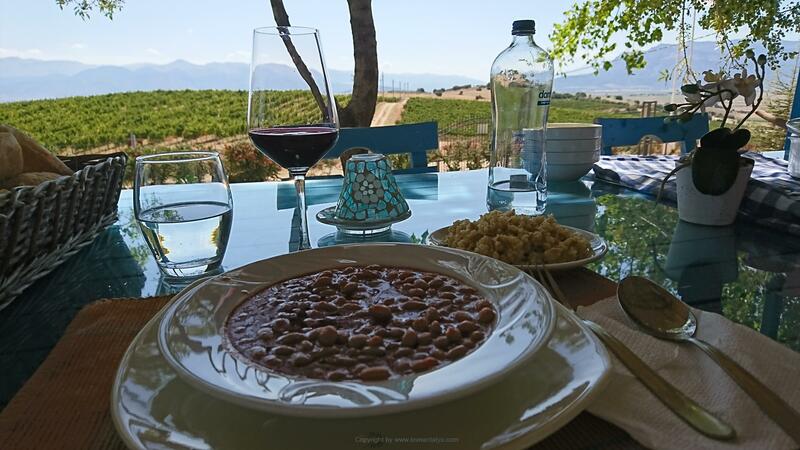 Did you know, that some of the first wine (at all) was produced in Lykia more than 4000 years ago and only about 27 km from the place, where the Likya vineyard is situated today. On the land belonging to the Likya vineyard, there is an old burial chamber, where several ancient murals have been found with pictures of wine, grapes and wine-drinking people. Some of these images are used for the logo of the vineyard and on the labels of the Likya wine. A rather interesting story, I think, with an almost archaeological vineyard. In fact, a shepherd in the area found a root from an old vine. 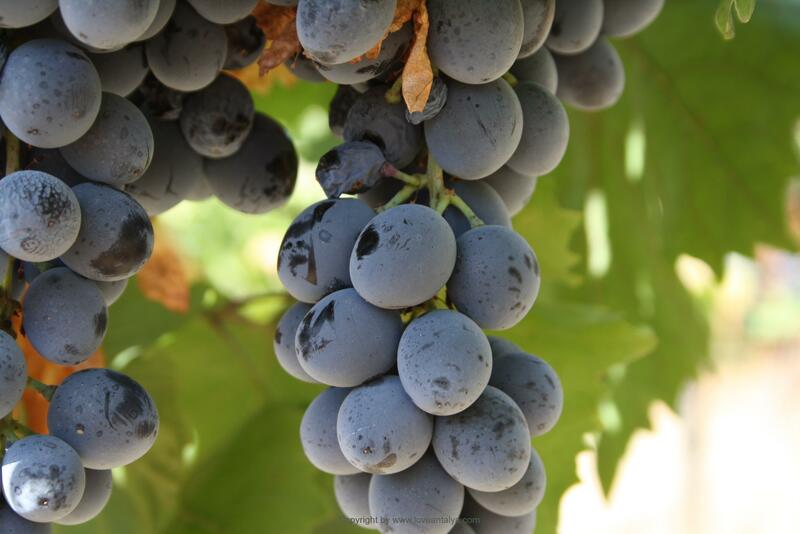 It has since been used to produce even more seedlings and after 16 years of development, it means, that you now have some unique grapes (Acikkara) that originate from the region. Mr. Burak told us, that like so many other Turks, he has traveled a broad to educate, ex. in the United States and in England. He also told, that in the first season of his own vineyard, he got help from a French wine producer Francois Gaboriaud from Bordeaux. 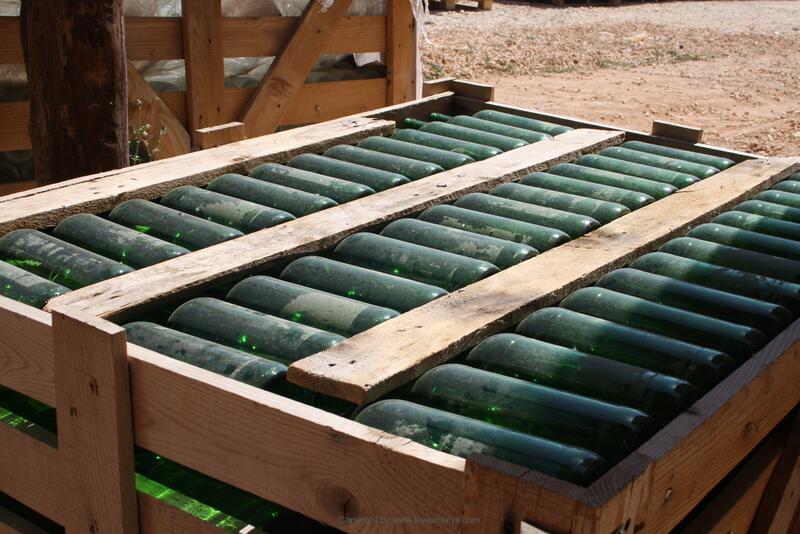 For 8 years, the wine and grapes were sold to large international companies. But from 2007 the quality became stable and all the grapes were “at home” and the actual production and development of Likya winery started. It’s really unbelievable to think about, how much should fell in place (and how much know how, you’ll need) before you can have a good product and a good wine. A pure science and fully as complicated as I expected. One is of course the location. There must not be too much sun, not too much rain and a little, but not too much cold, so it will damage the grapes. At Likya wine, the location is perfect at 1100 meters, as all of these parameters are met. In addition, Mr. Hr. Burak revealed to us, the soil must not be too good and rich in nutrients. In fact, it must be quite poor, so you can use the grape residues from the production. In this way, you add exactly what it takes to make the vines thrive and provide optimal yield. And that the air actually plays a role is maybe really obvious, but I have not really thought of that, I must admit. Although the air always feels fresh up in the mountains (or at the foot of the mountains, as in this case), the many cedar trees help clean the air and therefore give a better wine. As he said, “Nature makes the wine”. We were fortunate to have a thorough tour at Likya Winery and Burak told us passionately about the place and the production. Although the mantra is, that nature is making the wine, it is an incredible contrast to see the many idyllic elongated vineyards from which the grapes were transported at the load of a tractor, to the entire large production hall with all the large steel containers, the laboratory, the iconic wine barrels in wood, the large storage / maturing cellar with the meter thick walls, from which the bottles are packed and collected for further distribution. I am almost tempted to say the natural world meets the industrialized, modern world. Because yes, there was really a world (and science) of difference. At first, the local population was a bit skeptical about the arrival of a vineyard in their neighborhoods. What should it mean? Would there be drunk people, many people and increased transport etc, etc. But today there is a good and harmonious cooperation with the local. Mr. Burak and the family are very keen to cherish the local and the original. It also means, that there are many visions for the future about local collaborations and, for example, a big wish to establish a boutique hotel in the hills above the vineyard, where tourists and visitors to the winery can stay, taste and buy local products. An idea that both my husband and I became very excited about …. because it’s truly a unique experience to be here. So imagine having days, where you can look out over the hills and mountains, eat good local food and drink fine wine … yes thanks, it’s bought in advance. The wish is also that countries abroad will get an eye on the qualities of Turkish wine. Right now, the wine is sold to countries like the United States, Germany, Holland and France and many high-class restaurants in Istanbul, for instance, are happy with the wine. But the bureaucracy and policy in Turkey doesn’t make it easy to sell wine as more and more taxes, laws, and restrictions is added. Fortunately, Likya Wine is doing well through the old-fashioned mouth to mouth method. The wines win many international prices and more and more Michelin restaurants in Paris and London, for example, are extremely interested and have bought the wines. So it’s looking promising. And yes, we are absolutely sure of that. Right now it is only open to tourists if you are part of a group. But it will hopefully change in the future (but you’ll might get lucky, if you’re writing a sweet email like I did). 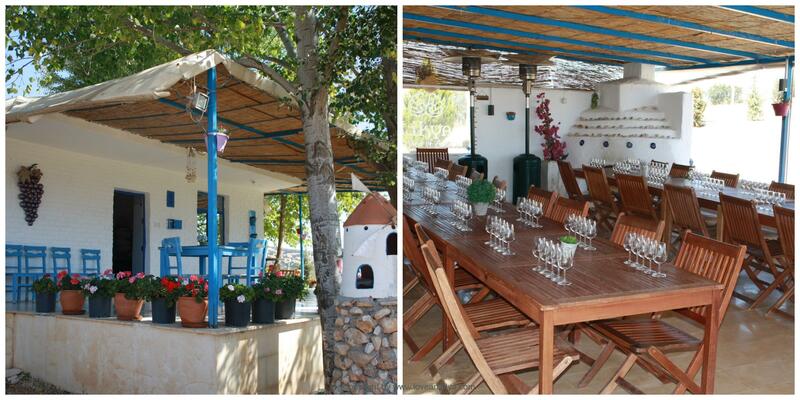 On the other hand, their small farm shop is open and welcomes interested tourists, who want to buy the different wines. And if you are invited to lunch, don’t hesitate … for I must say it was a real pleasent experience. We heard many apologies, that it was “just” the staff lunch (but I would like to work there, if they’re are eating like this every day). Kuru Fasulye, Salad and Bulgur was on the menu to be precise. But I really think, it was some of the best I’ve ever tasted (sorry mother-in-law and father-in-law!) With the most beautiful wines in the glasses and the most beautiful view over the fields and the vines. Can you wish more ?? You can find route description and get in touch with Likya wine here.